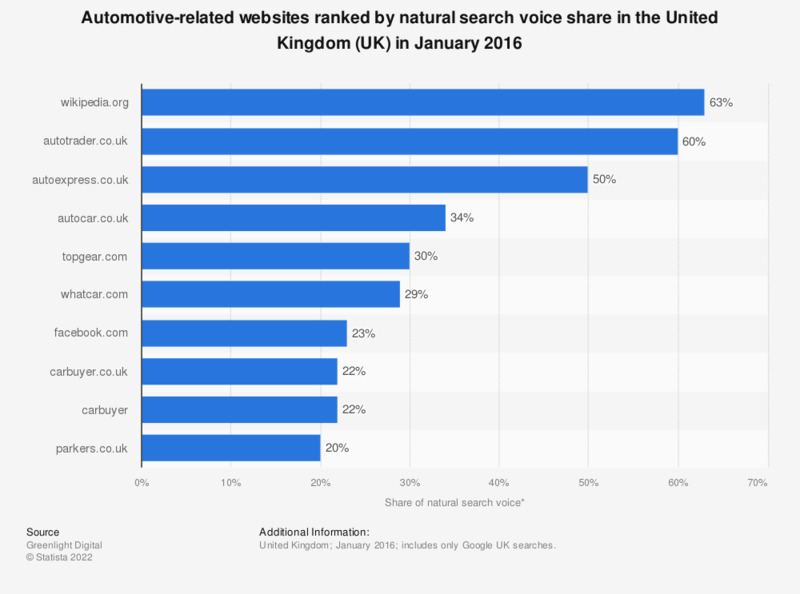 This statistic displays the most visible automotive-related websites in the natural search space of Google UK ranked by share of natural search voice in January 2016. Wikipedia.org had a 63 percent share of natural search voice and ranked first. * The share of natural search voice was calculated considering the share of keywords for which the website ranked in search results.